These spiders are called hobos because they hitch rides with humans and transfer to different areas. They are found all over the western states but the range is spreading rapidly. It is thought that the bite might cause legions but medical research is foggy on this subject. Adults are 11-14mm in length and are off brown colored. They prefer dark, moist areas that are undisturbed. They are not good climbers so they are mainly found along the ground. 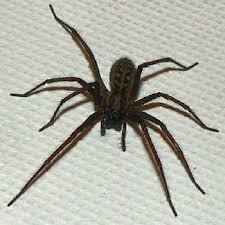 Hobo spiders will make nests in cracks and also in the ground. Usually, the holes are surrounded by the silken web which helps catch prey. Hobos feed on other insects and other spiders. Control is the same as other spiders with spray and keeping clutter off the ground around the house. When these spiders invade homes, crack and crevice treatments are necessary. Remove webs and eggs to keep numbers in check.